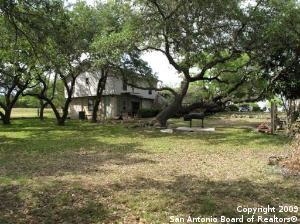 Description: 1.3 acres of gorgeous oaks with inground pool! A diamond in the rough with potential for the future! Needs extensive work. Rock exterior on corner lot! Huge kitchen with gorgeous red oak cabinets, granite counter with island & decorative crushed grantie backsplash! Huge 4 sided rock fireplace! Marble fireplace in kitchen/family room! Built in china buffet in formal dining! Inground pool in good condition! 700 sq ft of deck! Home needs to be completed---has the beginnings for a bright future. New windows!